It is amazing the amount of things people leaves in the streets of the city. I’ll never forget my first few years in London. I was living in a shared house in west London, we had equiped the house with unique pieces of furniture found in the streets. It might make sense considering the amount of people that comes and goes every year leaving all their stuff behind but still It would surprise me every time. The fact it is that in west London people would through away unbelievable pieces of furniture/decoration and buy new ones. The second biggest findings in the streets are books. I have recently got the above one as a “present”. It was found in a pile of books in the streets of New York. In Barcelona you can even find boxes full of DVDs and books labelled: Culture for free. Maybe I am one of those freaks who likes collecting other people’s rubbish or maybe I just value things in a different way. 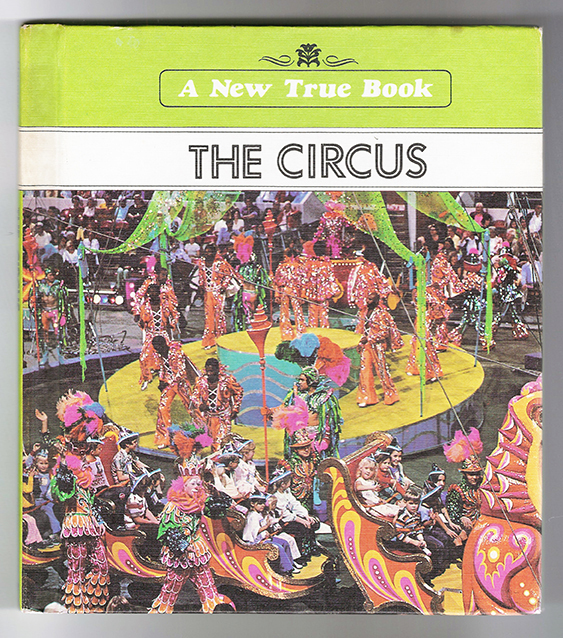 In any case I like the Circus theme, as you can see in some of my work, so this unexpected book was very well received!